Around 50,000 people accident victims need emergency treatment in Vietnam each year, but only 5,000 are provided with proper first aid before they reach the hospital. Viet Duc hospital in Hanoi admitted T.T.Hung from the northern province of Ninh Binh with life-threatening injuries from a traffic accident on Highway No.1 nearly four hours after the incident. Hung had gone into shock due to blood loss. Doctors said that if Hung had received prompt and proper first aid, the bleeding would have stopped and his life would not have been in so much danger. Another victim, Ms. Huong from the northern province of Hoa Binh, had broken her legs and cut herself after a fall while collecting wood in the forest. Although she was taken to the nearby medical clinic, the site was ill-equipped to administer first aid, and she too had gone into shock and lost copious amounts of blood by the time she reached Viet Duc. 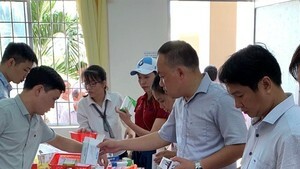 Dr. Cao Doc Lap, chief of the hospital’s emergency room, said Viet Duc receives over 100 emergency cases per day whose serious conditions have deteriorated due to the lack of good first aid. Some are saved from lasting injury, but others must endure lifelong handicaps because they did not receive first aid, he said. 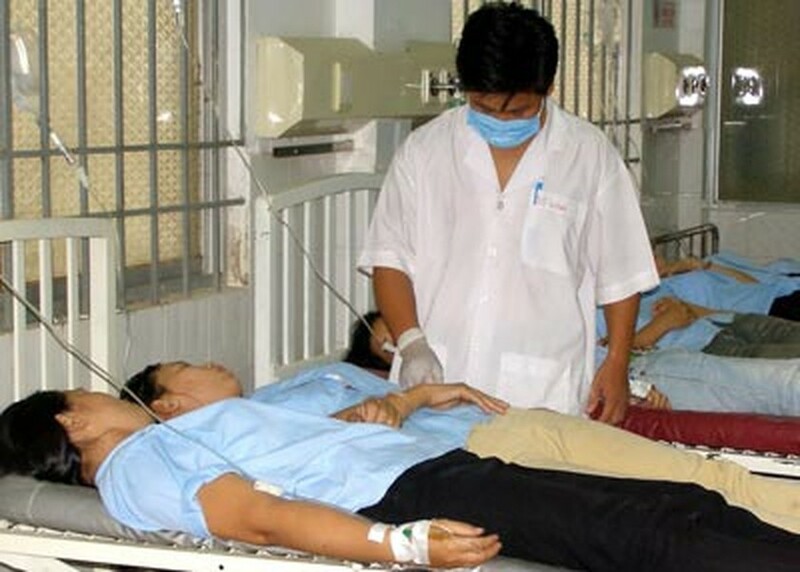 Recent studies conducted by the Department of Preventive Health at the Ministry of Health found that most accident victims in Vietnam are taken to hospitals by any available means of transports and very few of them receive proper care before arriving in the emergency room. Only 4% of victims are hospitalized in ambulance, 55% don’t have any first aid on the spot and around 10% are given aid but half of those receive improper care. Many are taken to the hospital in unsafe vehicles like motorbikes or cyclos (also called rickshaws or pedicabs). Dr. Tran Ngoc Lan, deputy director of the Department of Preventive Health Care and Environment, said the lack of special transport for emergency was making it harder to treat accident victims. No Vietnamese province has emergency first aid centers that can act as first responders. Even Emergency Transport Center 115 in Hanoi only satisfies 20% of the local demand, and in the meantime, district clinics are short of capable medical workers and proper equipment. The worst part of the situation is that so many children suffer the consequences of poor first aid. Around 0.3% of child patients die each month because people, clinics and transporters administer improper first aid techniques or none at all, said Le Thanh Hai, deputy head of the National Children’s Hospital in Hanoi, adding that over 2,000 kids are hospitalized at his facility each month. If authorities do not address the issue from the ground up, providing special equipment for first aid and skilled health workers on a large scale, the Vietnamese medical system will never be effective, experts said.